Johannesburg is known for museums, theme parks, shopping, zoos & aquariums, and historic sites. Your plan includes some of its best attractions: examine the collection at Apartheid Museum, don't miss a visit to Nelson Mandela Square, try to win big at Montecasino, and laugh and play at Gold Reef City. To find ratings, reviews, other places to visit, and other tourist information, use the Johannesburg attractions planner . Manaus, Brazil to Johannesburg is an approximately 21-hour combination of flight and train. The time zone difference when traveling from Manaus to Johannesburg is 6 hours. Prepare for colder weather when traveling from Manaus in July: high temperatures in Johannesburg hover around 22°C and lows are around 5°C. Finish up your sightseeing early on the 28th (Sun) so you can travel to Port Elizabeth. 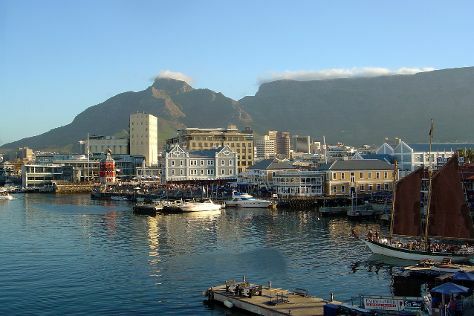 Cape Town is known for nature, parks, beaches, adventure, and shopping. Your plan includes some of its best attractions: step off the mainland to explore Robben Island Museum, meet the residents at Two Oceans Aquarium, take in the spiritual surroundings of Groote Kerk, and take in the waterfront activity at Victoria & Alfred Waterfront. Plan trip to Cape Town with our itinerary maker to find out where to go and what to do. Traveling by combination of taxi and flight from Johannesburg to Cape Town takes 4.5 hours. Alternatively, you can do a combination of train and flight; or drive. In July, daily temperatures in Cape Town can reach 20°C, while at night they dip to 8°C. Finish up your sightseeing early on the 31st (Wed) so you can travel to Knysna. Enshrouded in lush indigenous forest and surrounding a scenic lagoon of the same name, the Garden Route town of Knysna has plenty to offer. Venture out of the city with trips to The Crags (Birds of Eden, Monkeyland Primate Sanctuary, & more), Plettenberg Bay (Robberg Nature Reserve & Plettenberg Beach) and Storms River Suspension Bridge (in Tsitsikamma National Park). There's lots more to do: explore the striking landscape at Knysna Heads, tour the pleasant surroundings at Knysna Elephant Park, and explore the wealth of natural beauty at Garden Route (Tsitsikamma, Knysna, Wilderness) National Park. To find more things to do, maps, reviews, and more tourist information, use the Knysna trip planner . Traveling by combination of flight and bus from Cape Town to Knysna takes 4.5 hours. Alternatively, you can drive; or take a bus. Traveling from Cape Town in July, expect somewhat warmer with lows of 12°C in Knysna. Wrap up your sightseeing on the 3rd (Sat) to allow time to drive to Port Elizabeth. The sprawling city of Port Elizabeth, nestled on the scenic Algoa Bay, draws visitors with its sandy beaches, mild climate, and an enviable location as the gateway to the famous Garden Route. 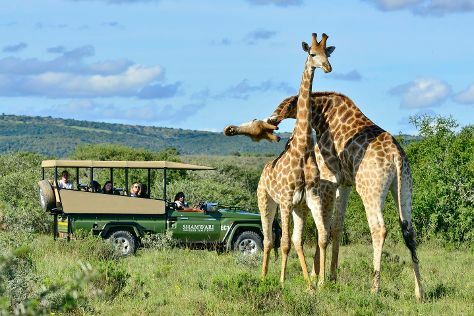 Start off your visit on the 4th (Sun): tour the pleasant surroundings at Shamwari Game Reserve. Keep things going the next day: try your luck at The Boardwalk Casino & Entertainment World, stroll through Kragga Kamma Game Park, and then explore and take pictures at South African Marine Rehabilitation and Education Centre. For more things to do, maps, reviews, and more tourist information, go to the Port Elizabeth trip itinerary planner . You can drive from Knysna to Port Elizabeth in 3.5 hours. Alternatively, you can take a bus; or do a combination of bus and flight. In August, daytime highs in Port Elizabeth are 23°C, while nighttime lows are 11°C. Finish your sightseeing early on the 5th (Mon) to allow enough time to travel back home.